The Stick Company is excited to announce the recent addition of our newest team members joining our Wrap Division. Jimmy Nolan of Fairmont, and Steve Adkins, originally of Bridgeport, WV both joined our squad early this year, bringing their wrap experience to our installation team. Jimmy had previously owned and operated his own wrap installation company in Kentucky before relocating back to the Mountain State. And Steve… well, Steve brings an unmatched level of energy to the team, despite his quiet demeanor. Both have hit the ground running, working on a number of wrap installs for clients like East Coast Underground, Parcs Superstores and Star Furniture. In addition, our team welcomed Ryan Huffman, of Morgantown, to the team back in 2018, helping oversee and manage our fast-paced print production (so fast, in fact, that we forgot to make this announcement). Ryan brought a wealth of installation, production and print management experience to the team, as well as a whole new genre of music for our playlist…. Instrumental Motion Picture Soundtracks (yes, really). Some days feel as though we are marching into Rome to the Gladiator soundtrack, or braving the rough seas to the smooth sound of the Pirates of the Caribbean – but, regardless, our team sails forward thanks to his organization and print scheduling. 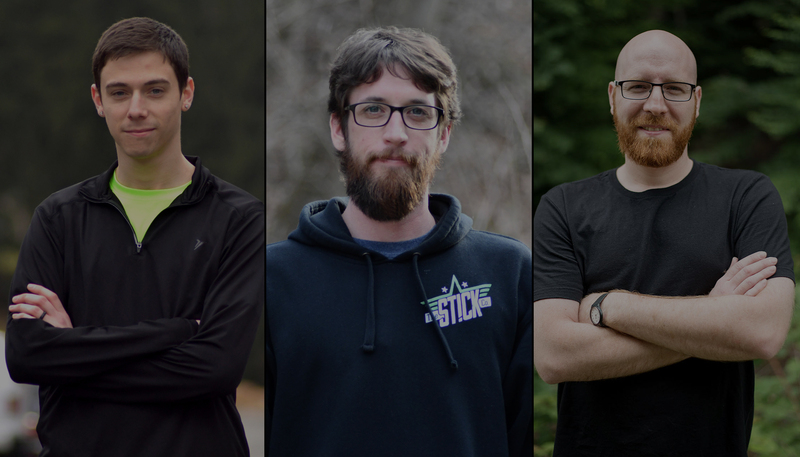 To learn more about our three newest additions, or to learn more about our entire team, be sure to visit our team page here!